Strange Chemistry – where are they now? ‘H is for Hawk’ winners announced! 2015 Book Giveaway – Part One, Two, Three and for Aussies Only! ‘2015 Book Giveaway’ winners announced! 6 February 2015 – Which Superpower? Episode Six – Thank God It’s Friday Again! 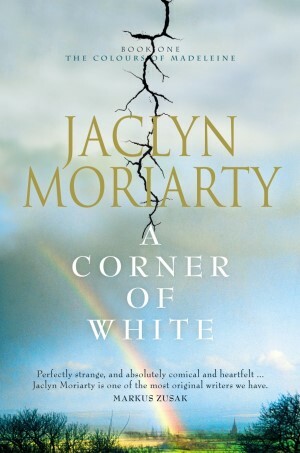 ‘A Corner of White’ by Jaclyn Moriarty is the first in ‘The Colours of Madeleine’ series (also known as ‘The Kingdom of Cello’.) Not her first series, Moriarty is already known for her award winning ‘Feeling Sorry for Celia’ and is the younger sister of well-known author Liane Moriarty. ‘A Corner of White’ is split into two worlds, one in Cambridge, England, and one in the fantasy Kingdom of Cello. In one world we have Madeleine Tully of Cambridge who has two friends, Belle and Jack; a mother who is ill and a father they left behind in some other part of the world, along with their easy life and plentiful money. Madeleine used to run away often, but she would always return. Then one day her mother ran away with her. In Cello (the own of Bonfire, to be exact) we have Elliot and the colours, dangers that roam around the kingdom laying havoc and destroying lives. Elliot’s own father is missing, but Elliot plans to find him and bring him home again. It’s already been a year without him – a year too long. The two worlds form a connection thanks to a crack that opens between them, allowing Elliot and Madeleine to write letters to each other, a dangerous avenue that has the penalty of death, yet both characters need each other for the sake of their parents safety. And so, the world of spires and tea meets that of the Butterfly Child in jars. This unique plot is beautifully told, so much so I found myself saving it for later each day whilst battling with myself from wanting to devour it in one. The prose is elegant and masterful, thought provoking and yet managing to showcase each character within their few words, so much so you know the characters within the first few pages. The secondary characters, everyone from those who’ve taken over Elliot’s father’s store to the person who wrote the Travel Guide for Cello are witty and lovely to read, making it so no matter who is speaking in the book at the time, it’s impossible not to be captivated. Though the tale begins and continues slowly, it is at a comforting pace that entrances, making it so you can easily visualise the room they’re in; the cake they’re sharing. For those who have been to Cambridge before, it will make you wish to visit again. To those who have never been there, it will make you want to go straight away – much like ‘The Daughter of Smoke and Bone’ by Laini Taylor and Prague. The fantasy element keeps the tale surprising, and the Cambridge element makes it all seem possible. Such as the Harry Potter series makes it realistic by involving Kings Cross, so does ‘A Corner of White’ with its spires and parking meters. 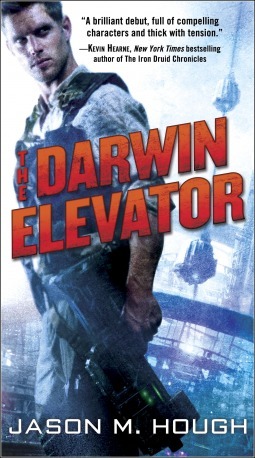 This novel is nothing but unique and is an instant favourite, one I’m pressuring everyone I know to try even if it is not their usual genre – simply because this can be enjoyed by almost everyone. Not strictly fantasy, nor simply mystery or literature, this is a mix of lovely and sad, biter and sweet, crazy and utterly sane and clever, intelligent and demands to be shared. 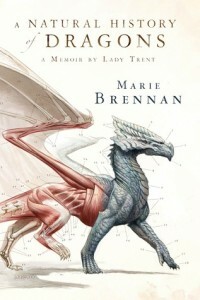 This review was originally posted at SentientOnline on the 5th August 2012.